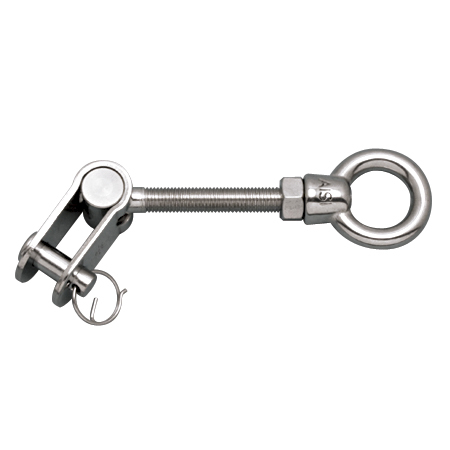 The Toggle Eye is made from grade 316 stainless steel for corrosion resistance and durability. Eye sizes range from 1/4” to 3/8” and are not welded to the threaded rod for easy removal. 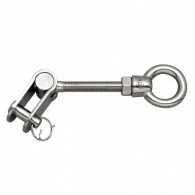 They are offered in standard short and long length, but can also be custom cut to fit any application. 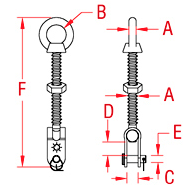 They are universal attachment points and can be used as repair or replacement links.